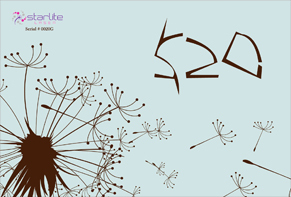 Your 20 Starlite dollar is valid toward any purchase and never will expire. After your purchase, download your gift card picture, print it off & bring it along with your purchase receipt. 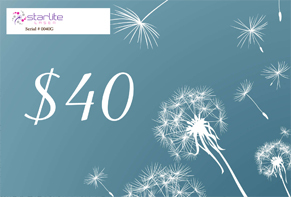 Your 40 Starlite dollar is valid toward any purchase and never will expire. After your purchase, download your gift card picture, print it off & bring it along with your purchase receipt. 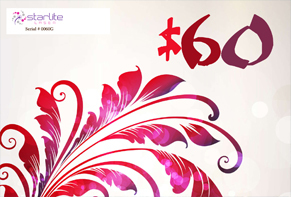 Your 60 Starlite dollar is valid toward any purchase and never will expire. After your purchase, download your gift card picture, print it off & bring it along with your purchase receipt. 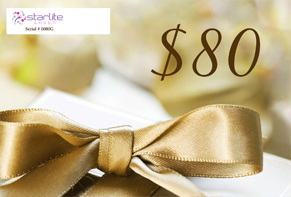 Your 80 Starlite dollar is valid toward any purchase and never will expire. After your purchase, download your gift card picture, print it off & bring it along with your purchase receipt. 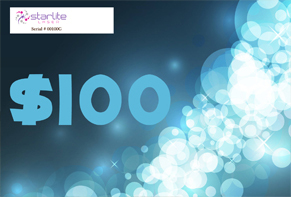 Your 100 Starlite dollar is valid toward any purchase and never will expire. After your purchase, download your gift card picture, print it off & bring it along with your purchase receipt. 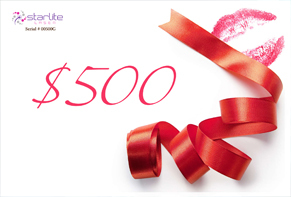 Your 500 Starlite dollar is valid toward any purchase and never will expire. After your purchase, download your gift card picture, print it off & bring it along with your purchase receipt. Great saving on "Promotion Arms(5 in 1)" for valentines day, After your purchase, print your receipt, and bring it with you on your appointment day, it'll never expires. Happy valentines day! Great saving on "Promotion LEGS(5 in 1)" for valentines day, After your purchase, print your receipt, and bring it with you on your appointment day, it'll never expires. Happy valentines day!